That is some pretty powerful recruiting material. After all, Travel Weekly is “The National Newspaper of the Travel Industry” according to its tagline. Travel Weekly’s “About Us” page indicates that Travel Weekly provides “all of the late breaking news, analysis and research that travel professionals need to succeed.” In the case of YTB, in fact, Travel Weekly has provided more – it has provided the credibility YTB has needed to succeed. In writing this editorial, I am breaking some rules of good etiquette. I am quite frankly criticizing a competitor, and therefore my motives could be deemed suspect. I’ll take my chances. Put simply, why does Travel Weekly and its very serious and competent editors continue to provide YTB a platform from which it is able to more capably market itself to the detriment of professional travel agents? In its 2008 Power List, Travel Weekly listed YTB with 131,101 outside sales representatives and $414.5 million in sales. Travel Weekly defines “Travel Seller” as an”intermediary that sells travel through any medium (electronic and telephone for example) directly to consumers.” By this definition, according to Travel Weekly, YTB is the 26th largest seller of travel in the country. They are listed alongside AAA, American Express, Carlson, other entities that most consumers would recognize as travel agencies. In its editorial, it is clear that Travel Weekly is according YTB the same status as the other companies there represented, travel agencies all. Naturally, YTB is quite proud of the honor and includes mention of its award in the boilerplate language of every press release issued by the company (go ahead, check it out). The status conferred on YTB by Travel Weekly is front and center on the YTB website and on its promotional literature. In fact, it is not a stretch to say that Travel Weekly’s knighting of YTB is the single most significant marketing coup YTB has achieved. Who could blame YTB for letting others know of the honor that the “most influential” travel newspaper has provided? Indeed, it is hard to even speculate as to the value of the award to YTB, but it must be calculated in tens of millions of dollars as a substantial aid to their marketing and recruitment efforts. There are those who might argue that Travel Weekly is simply and objectively reporting the facts. It is not clear by Travel Weekly’s criteria, however, why YTB is listed as a seller of travel and not organizations like, for example, AARP‘s travel division. Like YTB, AARP provides its membership with a booking engine, powered in its case by Expedia, along with other travel benefits. Although exact figures are difficult to ascertain, AARP’s numbers appear to rival those of YTB with regard to the retail sale of travel. It is not likely that Travel Weekly editor in chief Arnie Weissmann will be interviewing any AARP members or even AARP travel executives in Travel Weekly’s upcoming Preview 2009 where a YTB executive will be featured. Why not? AARPs program, its leadership and members, though they appear to meet Travel Weekly’s definition of a travel seller, do not call themselves travel agents. YTB’s consumer-members do, however, call themselves travel agents. And yes, Arnie, real travel agents find that annoying. It seems the most influential publication in the travel industry has swallowed uncritically the YTB marketing it has helped create. In its first virtual trade show, Travel Weekly sponsored a panel to discuss the “future of the home based travel agent”. In any panel convened to debate a serious topic, it makes great sense to invite notable professionals with years of industry experience. On the panel was Scott Koepff of NACTA, Van Anderson of host agency America’s Vacation Center and Kim Sorenson of YTB. Really? By the way, Sorenson’s inclusion on this panel merited a YTB press release and is frequently cited in YTB marketing efforts as proof of his expertise in the travel industry. In its upcoming virtual trade show, Travel Weekly has again included YTB’s Sorenson to sit in on a panel , the topic of which is “What Proves You are a Travel Pro?” Interesting topic, but again, YTB receives a platform from which it can market to more recruits. The list of grievances against YTB is a lengthy one. They recruit on the basis of “travel benefits” with an evangelical fervor that would make Jimmy Swaggart envious. But then anyone can be a travel agent, right? Take a look at the California attorney general’s suit against YTB and you can gather a pretty good compendium of the problems inherent in their “anyone can be a travel agent” sales pitch. So after this lengthy introduction, what is the problem? Simply that Travel Weekly’s continuing to legitimize YTB in this way is cynical and without merit. Certainly it creates a controversy that will draw travel agents to attend events and read columns, but it also allows YTB to continue to use Travel Weekly’s equity in the industry to leverage its own position and marketing. YTB is no more a travel agency, and its RTAs are no more travel agents, than AARP and people over 50 are respectively. But apparently this fine distinction evades the editors at Travel Weekly. This is not, as Arnie Weissmann has stated, merely an annoyance. It is a damaging slap in the face to true professionals to indicate that all one needs to be a travel agent is an online booking engine and a business card. It denigrates the study and hard work that bona-fide travel agents put into their craft. YTB recruits who seek a free ride on the FAM train drain the life out of a vital resource for professional agent training and education. YTB’s insistance that anyone can be a travel agent by owning one of their websites denigrates the value of the profession to the public and creates yet another hurdle for travel agents to leap across; but in this instance, the hurdle’s bar is raised by the “most influential” publication in the industry. If memberships like YTB’s qualify as travel agents, then Travel Weekly should immediately change its circulation strategy to include the membership of AARP. Let me suggest they put YTB in charge of circulation – their qualifications as recruitment agents are without question. It is, as I have said before, the travel industry’s own fault that it has so poorly defined the term “travel agent” that even the editors of Travel Weekly apparently don’t understand who is and who is not a travel agent. When I say “travel industry” in this context, I am excluding suppliers. Suppliers have one mission – to sell their product. It is not their task, nor should it be their task – to define who is or is not a travel agent. But the reality is that Travel Weekly’s editors and writers do know the difference. Yet, the most “influential” publication in the travel industry continues to provide a platform for an organization that is antithetical to the ethic that real travel professionals ‘profess’. You see, there is the distinction. A professional “professes”… that is a far cry from evangelical recruitment of consumers to the pretense of professionalism. I am not suggesting that Travel Weekly should ignore YTB. I am suggesting, however, that they should no longer provide YTB with a seat at the table of travel professionals and a platform from which to market. YTB bears greater resemblance to a travel club than a travel agency. As does AARP. The “most influential” publication in the travel industry should be able to figure that out and come to the support of bona-fide travel agents. Let me suggest that Travel Weekly could adopt a more stringent set of criteria in next year’s Power List and for its definition of both “travel agent” and “industry expert”. Travel Weekly should unequivocally quit recognizing YTB’s recruits as a travel agents. Richard, I couldn’t agree with you more! I would have thought that a publication like Travel Weekly had a responsibility to its readers to be objective, and present things as fairly as possible. Over the last couple of years this has been shown to be difficult for them to do. Many travel professionals have stated that their beef with YTB itself is quite simple: they are responsible for releasing untold numbers of untrained and unprofessional people upon the general public, bringing a negative connotation to the travel agency community. I am surprised that Travel Weekly chooses to ignore this very important point. Thanks for putting into words my feelings about YTB and Travel Weekly’s endorsement of them. It seems Travel Weekly bites the hand that feeds them. When travel professionals are lumped together with the YTB referral agents, it dilutes and cheapens our profession, and does a disservice to both us and the traveling public, who has no clue what the difference is. It’s up to us as professionals to kick the faux agents to the curb. However, Travel Weekly just made it more difficult. Shame on you Travel Weekly for not taking us seriously, and making our jobs that much harder. Well said, as always, Richard. I suppose I should be surprised that TW chooses to ignore what most of us KNOW about YTB, but sadly, I am not. As to the why, that I do not know. I fail to understand why Travel Weekly would continue to give credibility to YTB or any other multi-level marketing travel company. The prime aim of any such firm is to recruit more and more people, not to sell products (in this case, travel). The financial statements of YTB show this to be true for YTB, as roughly 70% of its revenue comes from selling travel websites, not from selling travel. Further, I cannot understand the logic of inviting Kim Sorenson back to another panel, after his dismal performance on a previous panel. This is especially true when the topic is “What Proves You are a Travel Pro?” I doubt Mr. Sorenson would recognize a “Travel Pro” if it bit him in the behind. Until the California Attorney General launched an investigation into the practices of YTB which resulted in the pending lawsuit against them, YTB had no formal training in travel sales for any of its agents whatsoever. What they have now, from the descriptions provided, is fairly superficial. YTB has been a “card mill” from the start. They formerly issued their own ID card which they claimed would be good enough for people to qualify for FAM trips. When that proved not to be the case, they started allowing everyone to obtain CLIA cards with no production requirements at all. After the uproar from true Travel Professionals, YTB instituted some minimal travel sales requirements that could be met simply by booking 1 trip. CLIA finally responded to this by strengthening their own requirements for obtaining the card. However, YTB is now exploiting the loophole CLIA has left in place by having agents join CLIA as agencies and thus getting the “owners” cards that CLIA allows for. All these things show that YTB is not in it for travel sales, but for the recruitment dollars and the free or reduced cost travel. Travel Weekly, by allowing Mr. Sorenson to appear on this panel, is in effect saying that they recognize YTB “referring travel agents” as true “Travel Pros”. This is a slap in the face to the true “Travel Pros” that have been their readers for many years, and to the suppliers that provide them their advertising dollars. I will not register to watch such a panel discussion, as it is meaningless with such a person on the panel. Further, I will try to contact as many of the suppliers that I find advertising with Travel Weekly and ask them to suspend their advertising for at least several issues in protest over the de-facto recognition of YTB as a legitimate travel agency. I am flummoxed as to the reasons behind this move. Of the entire Board and Executive Team of YTB, there is not a single person with any background in travel. Plenty in MLM. They tried to get Bob Dickinson and failed. IATAN–they charged them with illegally selling the card and YTB appealed and lost. OTHER STATES–there are at least three other states that have open investigations. But Travel Weekly looks beyond all of this and gives them more fuel for the fire. I realize that you are innocent till proven guilty, but in the case of IATAN, they were found guilty. We will have to see how the states work out. But till the allegations are proven (or disproven), doesn’t it make sense to maybe put them on the back burner. When a teacher is accused of sleeping with a kid in school, they are put on administrative leave until the trial. Travel Weekly advertisers – please take notice – with decisions such as this, TW is quickly becoming irrelevant to true travel professionals. Please take this into consideration when deciding your advertising budgets. I am for anything that will get rid of these cockroaches that damage the credibility of the real travel professional. They pop up everywhere, are pushy even to agents and know absolutely nothing about travel – only that they can take spaces in opportunities where they don’t belong. Shame on Travel Weekly – what are they thinking? I cannot for the life of me think of anything useful that he (or anyone from YTB) can share on the topic of “What proves you are a travel pro”, and I am embarrassed for the other panelists that have to share the podium with him. Shame on Travel Weekly for so blatantly allowing greed (advertising dollars) to outweigh journalistic ethics. I could not agree with this article more. It is quite disturbing to me that TW seems to bow down to YTB. They are not travel agents in any shape or form, they are simply consumers who purchased websites. Why on earth the suppliers put up with it is beyond me. But since TW has jumped on the bandwagon supporting it, I’ve not re-subscribed, gone on their website, or partipate in their forums any longer. These pretend pseudo agents know very little about this industry, and even less about travel. A few I saw at the last TW show asked in cruise panel what an NCF was. These are the people you have lumped real agents in with. Sorenson is no longer a panelist but a questioner. Kim Sorensen, YTB. Others to be announced soon. Sorenson should not be utilized in any way, panel member or questioner, because his company is strictly an MLM with a small percentage of its revenue from supplier commissions. Sorenson and the Tomers have a long history in the scam business and shouldn’t be recognized by the legitimate travel industry. Shame on Arnie Weissman for even suggesting this guy. I would recommend John Frenaye as a questioner. We need some creditability to this panel and someone to ask tough questions. The SEC filings show the majority of YTB’s income is derived from recruiting and not travel. Sorenson should not be anywhere near the discussion of what constitutes a travel pro. Furthermore, he was already on one of TW’s panels. Why use him again when there are so many better choices? You can put lipstick on a pig… and it’s still a pig. They can say their product is travel but we all know it’s recruiting. The vast majority couldn’t give a rat’s behind about being “professional”. For Sorenson, Coach or Scott to be anywhere near a panel discussing what constitutes being a professional agent makes a mockery of everything I have done for the last 28 years. TW needs to get their heads out of… umm… the sand. Richard thank you for taking a public stand against this issue. I too have cancelled my subscription to Travel Weekly because of this. I hope their advertisers are listening! I have noticed in reading the responses to your article that there is not one YTB RTA comment present…I guess your article is either not credible enough or worthy enough for a response…because you have admittedly announced in your article that you, “In writing this editorial, I am breaking some rules of good etiquette. I am quite frankly criticizing a competitor, and therefore my motives could be deemed suspect. I’ll take my chances.” I am concernered that you have you screened those responses to include only those who agree with you? And therefore, will reconsider my subscription to TRO. We don’t filter responses, and would be unlikely to. I don’t know why no one from YTB didn’t respond, though one did write a column on the topic. The competitor I was referring to in the article was Travel Weekly, not YTB . My greatest complaint is not with YTB but with an industry that has failed to properly define and regulate itself, leaving an opening for essentially anyone to call themselves a “travel agent.” YTB , and others like it, are simply taking advantage of the laxity of the travel industry. I do have a gripe with Travel Weekly for aiding a travel club like YTB to achieve prominence by wrongly portraying their members as “travel agents”. With regard to your subscription, I did not realize you were YTB. Please, allow me to unsubscribe you myself. 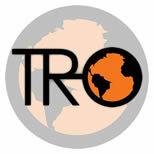 TRO is for travel professionals only. Well Richard first let me say good mornign and happy Thanksgiving to you and all other “Professional Travel Agents” I read your article and I sense more than a little animosity and f.e.a.r. (False Evidence Accepted as Real) I understand how dificult change can be to accept in these crucial economic times. There are several areas in your article which I believe are misleading and may present full disclosure. BBB is a for-profit organization, not a government entity. The Better Business Bureau has an established reputation as the ” go to ” place for the public to check out any business and find out if they are legitimate, operating legally and conducting themselves with the best interest of the public in mind. The BBB has a revolving 36 month reporting cycle, and issues are considered unresolved if they are awaiting mediation or if the client refuses to sign the BBB declaration of resolution, even if they have agreed to the terms of the mediation. The small number of complaints that have been received in the past 36 months compared with the number of complaints against major online travel companies is remarkable. Out of the hundreds of thousands of people who have participated in YTB programs over the past 36 months, we have had less than 100 complaints filed. Out of the complaints that have been issued up until the past 60 days, all have been closed or resolved. Those more recent entries are in process or have been dismissed. Compare our track record with our online travel company competitors. Orbitz receives 1722 complaints in the past 36 months with the BBB. Priceline receives 1579 complaints in the past 36 months with the BBB. Expedia receives 1105 complaints in the past 36 months with the BBB. YTB receives only 90 complaints in the past 36 months with the BBB, 98% of which are RESOLVED. How many complaints have been registered against your travel company Richard? What qualifies an individual to persue a career in the travel industry as a travel agent? How many hours of training? What courses should be studied? What will legitamize a perosn to be a travel agent in your eyes? Do you have people working for you that use your companies credentials in any capacity or is every person working for your company an individual independent travel agent brokering from your store location? Do you have any home based agents working for you? Have you ever hire anyone to work for you and trained them? Have any of your current employees ever recommended a person to work for you, who was hired? If you did then you have recruited and paid for that recruiting. I really would like to know if all your agents are judged on the mistakes of a few? I will admit that some of your points have validity in the small case but the majority of Affiliates, RTA, and Travel Agentes with YTB do comply with the standards and ethics of the industry. YTB has constant looked to upgrade individuals trainign opportunities within the travel industry, with various on line training and seminars that they sponsor. I think you would benefit from a visit to the operations office for a personal look at the business, if you’d like to go I’ll pay for your ticket. Let me know if you’re up for the challenge, and please enlighten me on what a real “Travel Professional” is. James, BBB’s status aside, it must be acknowledged as people know it and rely on it in a similar fashion as Consumer Reports or a respected food critic in any metropolitan city. But a better barometer than the number of complaints would be the number of complaints per dollar of travel sold. Certainly you can see the difference. Who has the worse “reputation” the tire store that sole a million tires with 1000 complaints or the one that sold one tire with one complaint? If you look at this objectively, YTB is far ahead of the other companies you list. There is also another factor that weighs in here. Human psychography. When someone feels that they have been scammed, and it is not a considerable dollar value, they are likely to chalk it up to a bad experience rather than report it. YTB is like the Nigerian rich uncle scam. Very few report the scam because they feel foolish enough to have partaken and do not want to risk others knowing. There is a reason YTB has created such a low price for entry and they are aware of this. What I would like to know is why it seems that the standard answer to any criticism seems to be that the person should hop a plane to Wood River and meet the principles. The travel professionals opinions are based on the “real world” – SEC filings, number of States AG offices investigating/filing suit and the industry standard bearers – the vendors and accreditation organizations. It doesn’t matter how “Ah shucks” charming and convincing the management is. I personally am tired of YTB members coming to my booths at events and putting their names and business cards into my give-a-way box, interrupting and trying to talk to my customers when they truely do not have any clue as to what being a travel agent truly entails. I am also tired of people asking me if I am a YTB agency. As I have had this name (Y Knot Cruise Travel Company) for many years. It seems to be a real cult if you ask me. Truely making us all look bad. I can not believe some cruise lines and travel companys will even deal with them. I put my own money and time into promoting their products and rarely ask for a FAM as I am to busy keeping my head above water to do more than 1 a year. Yet they seem to get all the benefits without putting their time or money into promoting these products. Last summer on a FAM with Holland America, guess who was there, there were a total of 3 other couples who where YTB and another company similar. The other day someone from a new card mill called me at the office and asked me to join. Talk about nerve. By the way John Freneye stated in another post that, OSSN will not deal with them. I was going through a list of their members the other day and guess what? There are several YTB members. It makes me not want to be a member of that organization any longer, that was one reason I left CLIA. Can you tell how frustrated I am. Why are the company’s not listining? I will clairify my point on OSSN, NACTA, ASTA et. al. These organizations have not accepted YTB as a company into their organization. Certainly if there are a few RTAs with YTB or any MLM that are interested in actually being a travel professional and selling travel (versus the perks), they are welcome to apply to any of these organizations. At the risk of being tossed out of the saloon, and run out of town, I am a Referring Travel Agent (RTA) in YTB. I just read this article with great interest. While doing so, I tried to look at everything objectively; putting myself in various positions. For example that of YTB’s corporate management, the author, and those with commentary response, and knowing by default I am an RTA. Everybody here seems to know what a Travel Agent is, in their own mind. Nobody has provided their definition of a Travel Agent; they just know there are none in YTB. As a relatively newcomer to the profession, nobody in the industry has clearly defined it to me, with consistency across the field. The title and the progression to it; is not as clear or as accepted as say that of a medical doctor. e.g. Student, Residency, DR. MD, Medical Practice. It is my goal to be a professional Travel Agent, one that is understood by all, and questioned by none. I would like to eliminate the doubt. Are you really one? Are you sort of one? Naw; come on, your just joshing me. It seems nobody here is aware that not every travel store owner in YTB is a TA. YTB has defined an Affiliate, a Referring Travel Agent, and a Travel Agent. I would already be a travel agent by YTB’s definition, but I am waiting on Dr. Marc Mancini to finish writing the remaining courses. Yes there are two sides to being in business with YTB, Travel Sales and Business Marketing. Would it be wrong for brick and mortar ABC Travel Co, to sell a vacation package including a plane ticket, lodging reservations, a cruise-tour, and taxi that meets the needs of a client? I don’t think so. That would be a good thing; that’s business? So what if I do the same thing, and use my on-line travel portal and booking engine, from my home office? Did it suddenly become a bad thing? Wrong? If so, why did it? Did I step on some bodies toes, or cut into their business? What? Business is going well for ABC Travel Co. They see an unfilled market. They decide to open a second store. It goes well. They open another and another, and become a huge success story. Is that wrong? I don’t think so. Now what if I did that, but did it online? Oh and the new store owners were receiving professional training and mentorship from many. The mentors want them to succeed. What’s wrong with that? Why does it bug others so much? In all fairness several of the new on-line store owners, did not work at their business. They did not take any professional training and they put in zero hours per week; yet they expected to succeed somehow. Their failure is the fault of YTB than, correct? I want to be a travel agent and be accepted in the industry as a professional. In my mind I am a Travel Agent, on-line and direct contact, word of mouth, repeat business, all that stuff, home based, and in YTB. It seems everybody here is opposed to that. Why? Would I be more accepted if I bought a brick and mortar, or rented space in the mall? Those businesses mostly fell like fleas. The banker would just laugh at my business plan. So what do you suggest as a better alternative to being in YTB? Keep in mind it has to be home based, and on-line. My office is set-up and working. My business cards are printed. I have a Certificate of Good Standing from the Secretary of State. It cannot cost more than $49.95 per month, but it must provide a GDS System, linked to a professional booking website, at least six niche market web sites, technical support, 24-7-365 toll free hour customer service, corporate buying power, training, an on-line Back Office, and a Travel Portal, liaison with the travel providers, travel industry news, exclusive deals and discounts. It must also allow me at least a 15% discount on shipping, office supplies, phone service, printing, tax preparation, and other business services. As I am self employed, optional Group Medical, Dental, Vision, and Life Insurance is a must. It would be nice if you could throw in the brochures, advertising, and a regular monthly sweepstakes too. Until somebody can show me a better way, I will continue to further my professional education by every means possible and reasonable, and continue to sell travel through YTB. Annoyance, imposition, or competition, which bugs you more? I’d like to ask that the author of this article, John Frenaye, to please answer the questions put forth by JGreen. I’d like to see a better response than the one you posted above. You failed to address half of JGreens questions. I have searched online, the library and at bookstores to find a definitive definition of what a “Travel Agent” is. I am a travel agent with YTB. I am also a registerd “outside sales” agent with many other online booking resources. I have my CLIA card. I did my training (with CLIA) and have sold over $20,000.00 in travel in just 2009…look at the calendar people..yes, it is only February. This is not a bad number for someone working independently. With the new 2009 CLIA certification requirements, MANY agents in the travel field are currently working towards their ACC, MCC or ECC status. So the AMOUNT of training does not seem to be the issue. You can’t say EXACTLY what defines a travel agent….but you know when someone is not a travel agent? 2 years and 1 month? 2 years, 1 month, 12 days and say….oh….10 hours and 5 seconds? When? Let me tell you…if it is not on opening day; at their Grand Opening they won’t last a month! So, if I open a brick and mortar agency down the street, THEN and ONLY THEN am I able to call myself an agent? Says who? I’ve carefully reviewed the CLIA website, and I gotta tell ya’, nowhere does it say that a certification by them (or any other association) makes one a true “Travel Agent.” And, on the flip side, NOT having association certification does not automatically mean that a person is NOT an agent. Especially in an industry like ours that does not require it. So you don’t like YTB as a company or as a concept…so what? If you don’t like it…..well, put your head down and go sell some more travel… show your clients how professional YOU are and the great services YOU can offer them. Why whine about what TW is doing or who they are talking too? I’m willing to bet that your clents are not reading Travel Weekly! It all smells a bit like sour grapes…. Criticize YTB all you want. The fact is…for those who are willing to learn and work, our client lists are growing and we are running to the bank with our commission checks. I’m not too worried about what ‘other’ travel agents think. Elaine–I did not write the article. I did respond to JGreens comment with a comment of my own. If you are looking for the author, it is Richard Earls. I found the RTA above who boasts of selling $20k in travel ytd 12 Feb very interesting. I know of no Agency that would keep you even half time with such low sales – maybe as an IC who is actually a hobbyist…. I am a Professional Travel Agent with a CTA (a real one not, Traverus). I work full time at this and because I work for a REAL Agency, I can access my sales numbers immediately (unlike YTB that according to their latest SEC filing can’t even figure out how much it sold in the last quarter) – great tool CB+. By 12 February I had sold $169,721.82 worth of travel – that includes deposits as well as final payments and air fares, and fees for my professional service. Now because that includes deposits and non-commissionable air, the yield (that would be the commission, folks) on that amount only comes to $20,366.62. Isn’t that interesting? In the above example, she sold $20k. I earned over $20K. Now assuming the above poster is earning 70% of her sales – and let’s be generous and assume that 100% of the $20k was in final payments AND that all 100% of that $20k she sold is commissionable – her yield was a whopping $14,000!!! But of course then she is making more commission on travel than just about 90% of the other RTAs! Actual Professional Travel Agents know that you sales “….I’ve soldover $20k…” is meaningless. What matters is the amount of yield….. Thus – we have a “hobbyist” not an Professional Travel Agent. The great thing about ytb is that you can learn your business as you go. Most people have a full time job and would like to have a back up plan if their company happens to go under or cut back jobs in the field they are in. Working the travel business part time doesn’t allow you to call yourself a travel professional, yet it certainly opens the door for you to obtain the knowledge to be one. If you are a travel agent out there and you don’t want people having the opportunity to obtain this knowledge even on a part time schedule (and this is the impression you give when you talk about a RTA) than shame on you for not wanting good, hard working, willing to learn people to provide for there family. My wife and I are with YTB we have a small just under 100 people team. We like to lead by example and teach our team to be successful and that means booking travel also. We average personally every month now in our second year over 22k in travel bookings per month. Our team has an average of over 5k per month working part time. As the YTB people mature with the knowledge and skills they have, this average will keep going up as it has, in fact it will compound as it goes up. The company as a whole has booked more travel than the previous year in upwards of over hundred million dollars with less rta,s. This makes me wonder how much further we will move up on the power list. I’m looking forward to the rest of 2009 my returning clients my new clients, helping my team sell more travel and last but not least helping more good people to do the same. This will be short and sweet… YTB travel agents sell millions in travel. YTB site owners sell millions in travel. I happen to be a professional travel agent selling tens of thousands in travel through my YTB site, and because of my affiliation with YTB, as a Certified Travel Agency,I have access to vendors and training that allow me to do just that!What is the problem? I have no overhead, I earn great commissions, get great perks,and Iam gaining clients that prefer me to a faceless online mashine.YTB agents have sold MILLIONS in travel because we are legitimate! The problem seems to be fear of our innovative business model.We are here to stay. We are not trying to hurt anybody- there is room for all GOOD travel agents! Now, why don’t we work together to make our industry better, not worse! I love my indusrtry and my fellow agents from all companies. Bon Voyage. Just a few points. YTB offers NOTHING that is certified by any organization that is recognized by the industry. FOr a few hundred dollars, they may tell you you can call yourself certified, but as Lisa Madigan pointed out, the certifications mean nothing outside the doors of the K-Mart. You claim you are getting great commissions. Well, if you knew about the industry, you would realize that indeed you are not. The aside to that is with YTB you are unable to sell 2/3 of the major cruise lines. And speaking of faceless, I went to http://www.mysavvyvacation.com and looked for YOUR face, YOUR phone number, YOUR, name, YOUR email–and guess what, all I could find was a toll free number to YTB that goes to an endless phone tree. You see, the “face” of YTB is not doing so well. Judging from your RTA number, you have been in YTB for a while. At what point do you begin to see the light? I am not sure if you are into the whole recruiting deal or not, but if I were you, I’d be pissed that they just lowered the threshold by A LOT. The recruiters that supported the company and recruited 500 people to be directors have to be pissed. Someone new can earn more, and only need to come up with 90 people. Way to respect loyalty. And if you are in it for travel and don;t recruit, I am sorry, but if you are foolish enough to take anyone (not just YTB) at their word and not look into what is available, what is the norm, and what woudl work best for you–you probably deserve whatever may come your way.